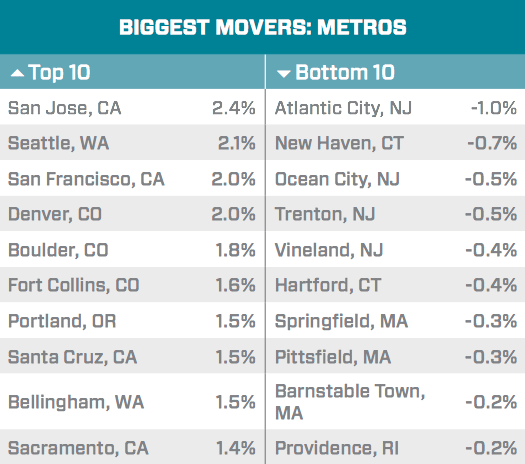 The Pacific Coast and Colorado stacked the list of biggest metro movers, with every metro in the top 10 hailing from California, Colorado, Oregon or Washington. The East Coast tells an opposite story: Every metro in the bottom ten came from Connecticut, Massachusetts, New Jersey or Rhode Island. Despite nearby metro areas in Connecticut and New Jersey dominating the bottom-performing metro list, New York City’s home prices continue to increase, moving up 0.4 percent month-over-month from January and 4.7 percent annually. The rest of New York State saw an even better February. 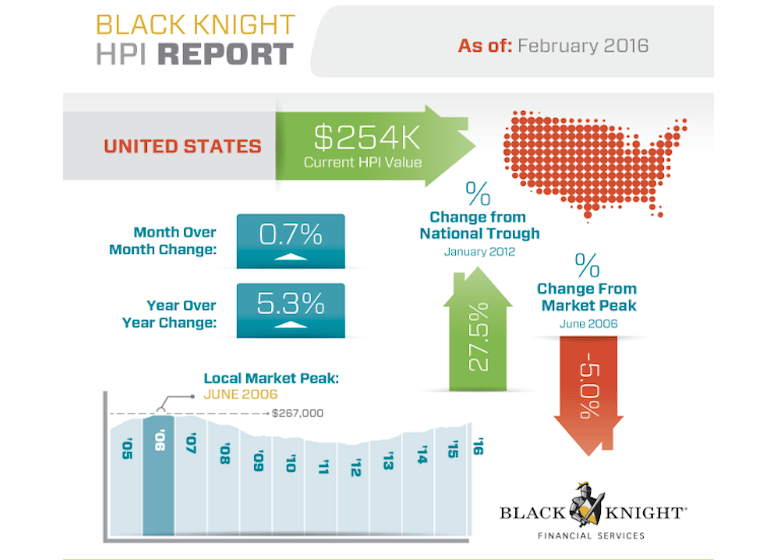 The month’s HPI value rose 0.8 percent month-over-month to $353,000 — a 5.5 percent annual increase and almost $100,000 higher than the national average. 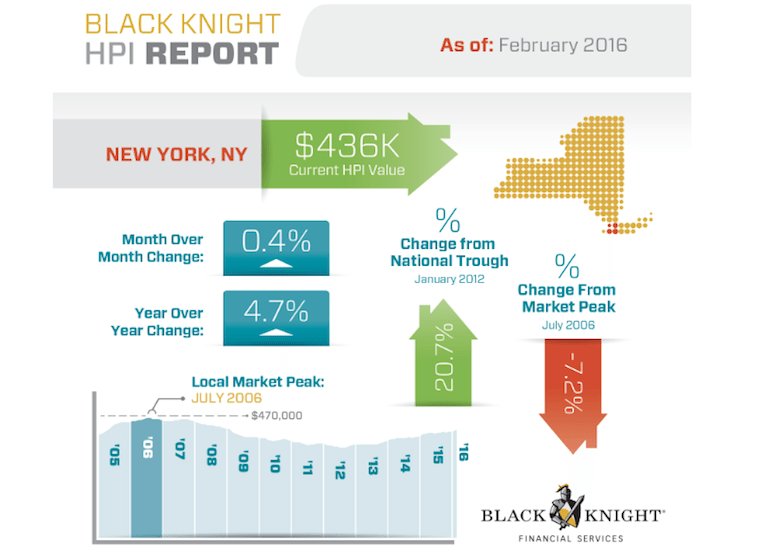 After another strong month to start off 2016, New York State’s HPI slightly increased from January’s peak level in Black Knight’s monthly report.